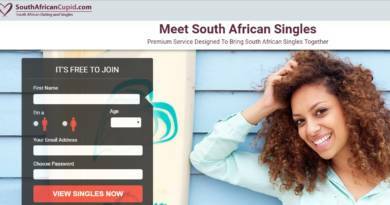 Interracial Cupid is a interracial dating site where you will meet people from different countries. However popularity of the website is very low and online people amount is not good enough for a dating website yet. You can try other dating products of Cupid Media if you are seeking for an interracial dating. There are many of them. However if you still want to use the website for dating, you can take a look at our dating review and add your own reviews for interracialcupid.com. The website is similar with other cupid media dating platforms, you will find similar discount options in membership purchases. The website is providing live chat and webcam chat features for their users. If you would like to text chat only, you can also do that. You can see amount of online people always. There are good matchmaking and search services of the website. Registration process is very easy and you can get an account in a few minutes. There are strict moderation on pictures and profiles for fighting against scam and fake. Generally, you will able to meet people from United Kingdom, Canada, USA on the website. Free accounts is not very effective on the website. You can do nothing but check some profiles with a free account. Popularity is very low in the world. You will hardly meet online people on the website. Add your review for Interracial Cupid and share your experience with other users. You can add your review with filling the comment section below. You can also ask any questions about interracial dating to us.